Militants carried out four shooting attacks. 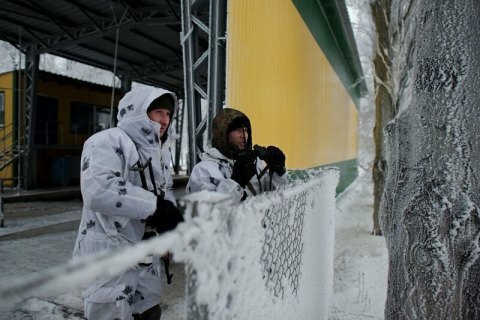 Three Ukrainian servicemen have been wounded as a result of four shooting attacks by pro-Russian militants since the midnight of 26 February, the antiterrorist operation (ATO) HQ said in its evening update on Facebook. The militants fired with 82-mm mortars near Lebedynske, 120-mm mortars near Pisky and small arms near Kamyanka. On 25 February, the enemy violated the ceasefire on five occasions. As a result, one Ukrainian serviceman was killed and one wounded.